For the relief of occasional sleeplessness. Helps reduce the difficulty falling asleep. Diphendydramine HCl tablets (25 mg). Para el alivio de insomnio ocasional. Ayuda a reducir la dificultad para dormir. 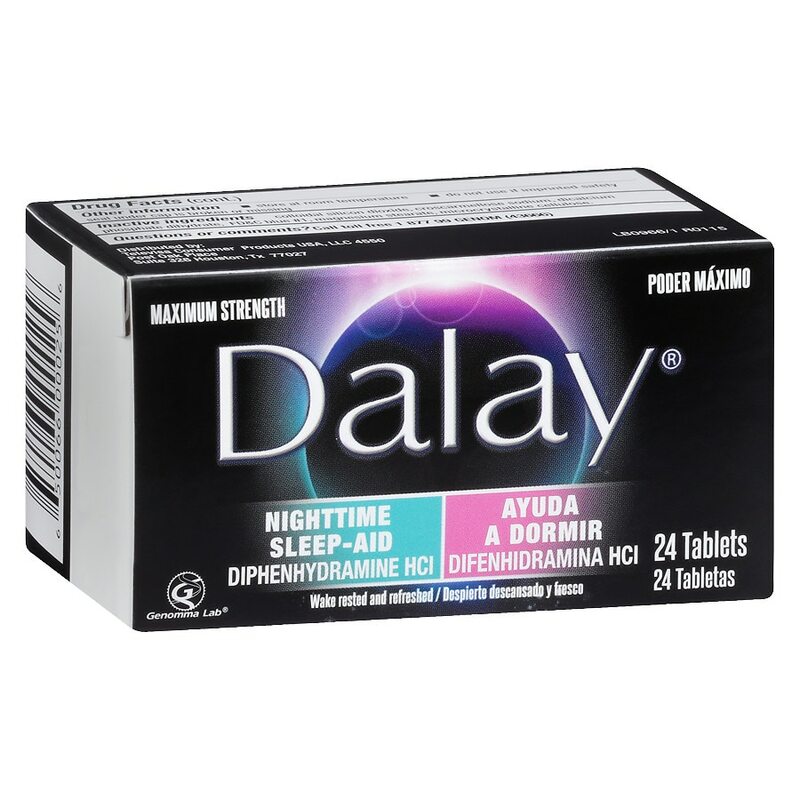 Difenhidramina HCl en tabletas (25 mg). Keep out of reach of children. In case of accidental overdose, contact a doctor or Poison Control Center immediately. Do not use if imprinted safety seal under cap is broken or missing. .Relief of occasional sleeplessness.